There are two types of people: Those who want to watch a cheese ball machine gun, and those who want to build a cheese ball machine gun. Thankfully, we’ve found a video for both. 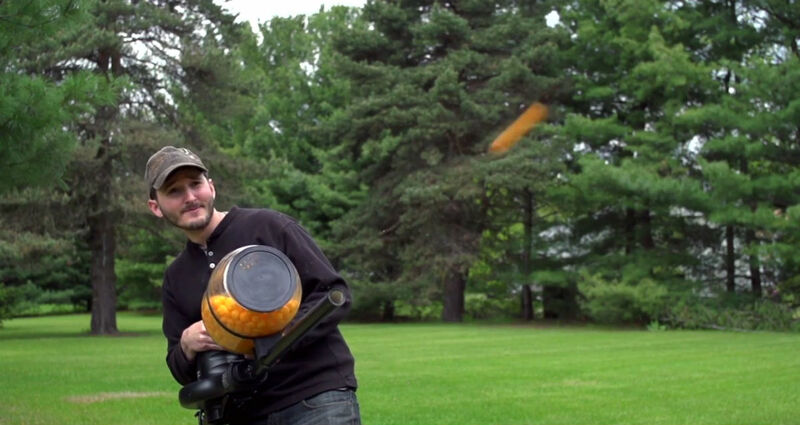 The cheese ball machine gun, which is surprisingly complex and technical, solves two of society’s biggest problems: How to make a safer firearm, and what to do with all these cheese balls. The design makes use of an electric leaf blower and a hand crank — no patent just yet, so feel free to make one yourself. Let the delicious mayhem begin!